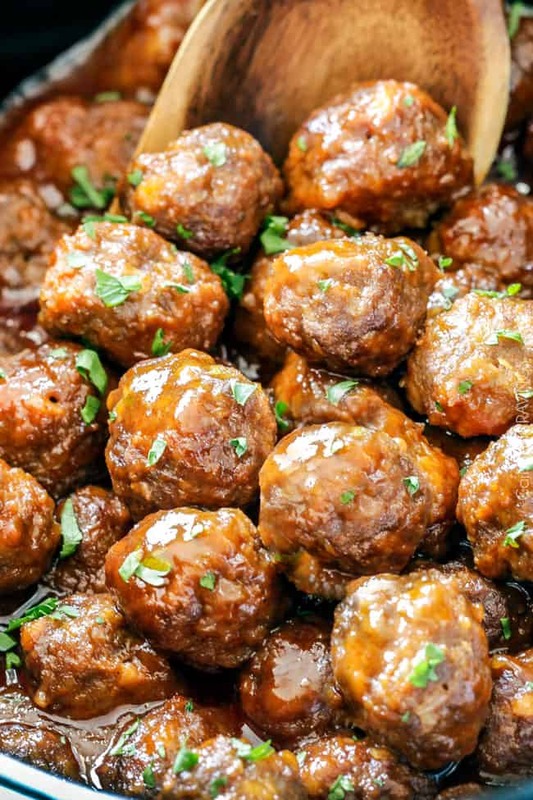 Introducing tender, juicy Slow Cooker Honey Buffalo Meatballs simmered in the most tantalizing sweet heat sauce that everyone will go crazy for! Perfect appetizer or delicious, stress-free, make-ahead meal with rice – or both! I choose both. I made these meatballs twice in the last two weeks to get the sauce absolutely perfect. The first time we devoured them for dinner with rice – Ah-mazing. The second time, I brought them to a friend’s birthday party where everyone practically begged me for the recipe. Everyone, beg no more. These meatballs are a cross between my crazy popular Sweet and Spicy Slow Cooker Cranberry Meatballs I posted last year and my beloved Honey Buffalo Hot Wings. Both ridiculously delicious and easy, always crowd pleasers, and both seeping with sweet heat so it only made sense to combine the two for an easy, intoxicating delicious meatball AKA Honey Buffalo Meatballs! The meatballs themselves are incredibly tender, juicy, and flavorful from an easy splash of spices. 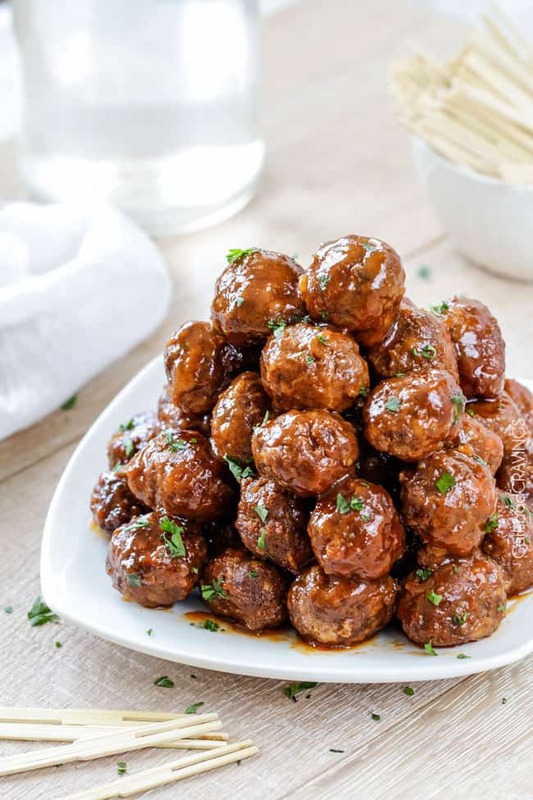 The spices make the ingredient list seem somewhat lengthy, but they just take seconds to throw in and take these meatballs all the way to the end zone; smother them in Honey Buffalo Sauce and you have a touchdown. The sauce is s simple whisking of Frank’s Original Hot Sauce, honey, brown sugar, apricot preserves and a splash of soy sauce that simmers with the meatballs for an appetizer that is nothing short of addicting or, as previously discussed, the perfect dinner so you can eat them all the time. Another winning aspect of these meatballs is you can completely customize their heat by adding more hot sauce to taste at the end of cooking so they can be more honey or more buffalo. Either way, these irresistible Honey Buffalo Meatballs will have you licking your lips, and strongly tempted to lick the slow cooker itself. I won’t judge. Want to try these Slow Cooker Meatballs? Pin them to your SLOW COOKER, MEAT or APPETIZERS Board to SAVE for later! 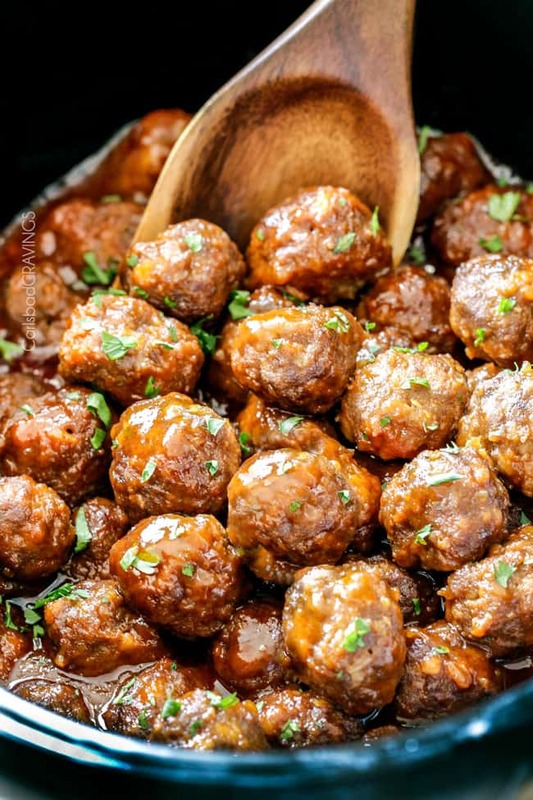 Tender juicy slow cooker Honey Buffalo Meatballs simmered in the most tantalizing sweet heat sauce that everyone goes crazy for! 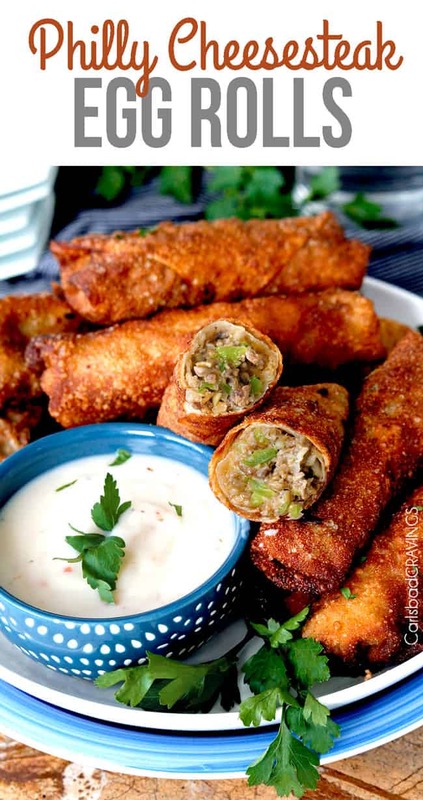 Perfect appetizer or delicious, easy meal with rice! In a large bowl, add eggs and gently whisk. Add all remaining Meatball Ingredients and mix until well combined. Roll meat mixture into desired meatball size**. Place meatballs onto prepared baking sheet and bake for 8 minutes, or until lightly browned. Meanwhile, add all of the Honey Buffalo Sauce Ingredients to a medium bowl and whisk to combine (only use 1/4 cup hot sauce at this point. You can add more hot sauce to taste at the end of cooking). Cover and cook on low heat for 2 hours, gently stirring an hour after cooking. 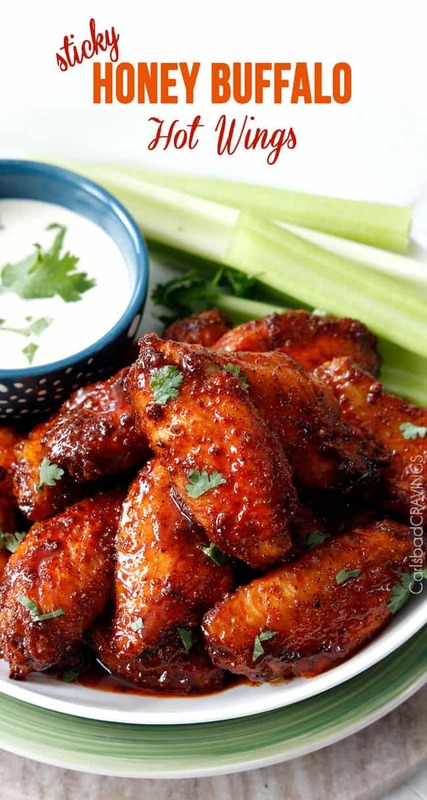 When done, taste and stir in additional hot wings sauce (I add 1 1/2 more tablespoons which is pretty spicy.) Keep warm until serving. **Makes approximately 70 meatballs using 1" cookie scoop or heaping 1 tablespoon. What do you serve with these? Hi Rachel! If you are not serving it as an appetizer, then I would serve it with rice, green salad and any fruit. Hope that helps! Ground chicken was on sale, so I bought it and thought I would try it with this recipe. I have to tell you, it was AMAZING! I also swapped out the cracker crumbs for cauliflower rice and skipped the sugar in the sauce. I was modifying to make it just a bit healthier, and you would never know the difference. YAY! I am thrilled this worked awesome with ground chicken and your other swaps! Thanks Elizabeth! 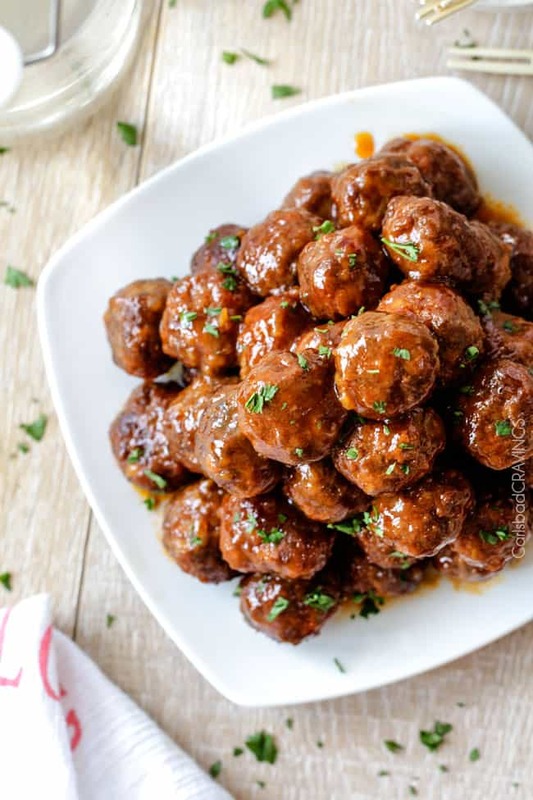 Hey there, is there an alternative to apricot preserve in the honey buffalo meatballs recipes? Hi Cindy, I’ve only tested the recipe with apricot so I’m sorry I can’t recommend an alternative without some more testing. Sorry about that! I’ve made it with grape jelly instead of apricot and it’s delicious! I tried these this weekend. My husband told me to throw all my other meatball recipes away – he has a new favorite 😉 Marinades are a favorite thing of mine, especially homemade ones where you know what’s in them. Your recipes are SO damn good. (Just sayin’) I hope you are feeling good! Blessings to you…..thanks for the amazing recipes…..keep them coming! Hi Teija, I was on a cruise without internet for over a week and am still playing catch up but thank you so much for your comment! I LOVE your husband’s response to these meatballs! And I love your comment about loving my recipes! Thank you, thank you! Comments like yours keep posting fun! Blessings to you and yours as well! Oh yum! Another winner! Thanks Jen, for another family recipe that’s is inexpensive, easy, and super tasty! It’s one of those times where I have a freezer full of ground beef and a fridge full if bits a pieces so I managed to finish up the apricot preserves (that have been sitting around for years) and use that rib sauce (I bought ages ago and forgot in the back of the pantry). I didn’t have crackers so used panko crumbs which seemed the same. We had them with rice and salad with homemade ranch dressing and carrot sticks. Really yum! Thanks again! Hi Sue, I was on a cruise without internet for over a week and I am all sorts of behind but thank you so much for your comment! I’m thrilled these meatballs are another winner and let you finish off those apricot preserves 🙂 Your meal sounds fantastic! Thanks so much for making my recipes and taking the time to comment! 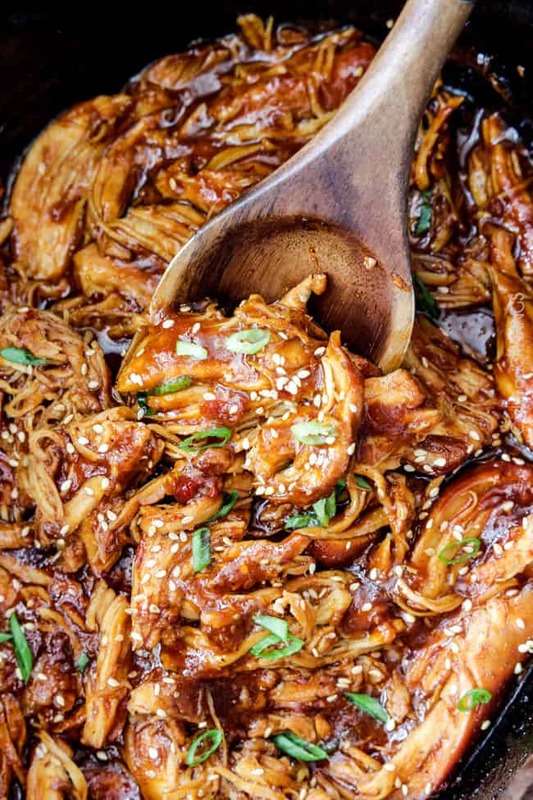 Can you make these ahead of time in your ur slow cooker and warm to serve the next day? Is 70 meatballs enough for like 15-20 people (including some kids) ? Just made this- so yummy! Awesome Helen! I’m so pleased you loved them! 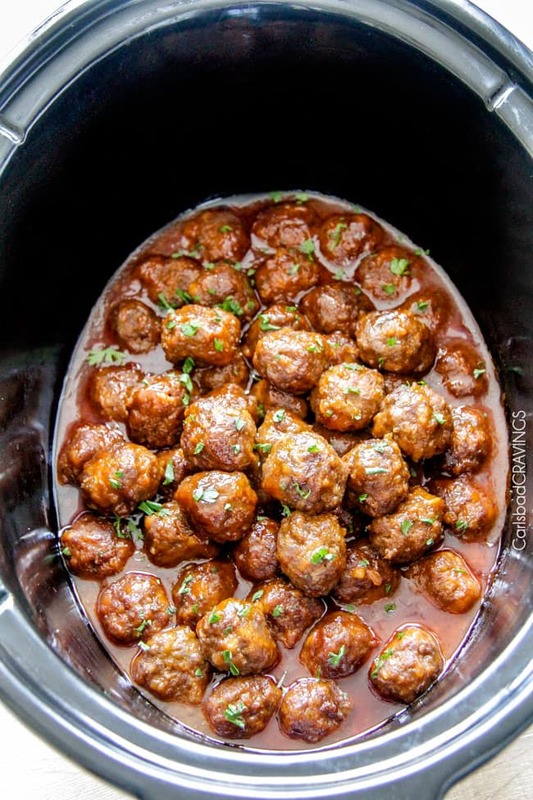 Do you think I can make the meatballs today (through the step of cooking them), then refrigerate them overnight and put them in the crockpot tomorrow? Great question! Yes, that would absolutely work! Amazing!! These meatballs were seriously the best meatball recipe I have ever made, soooo delicious! I made them for friends and everyone couldn’t stop eating them! Thanks for a crazy good recipe ! Can I use apricot jam? I couldn’t find apricot preserves at my grocery store…thanks! Never tried it with a sauce like that but it sounds great! This is one of my favorite sauces, I think you’ll love them! These meatballs look gorgeous ❤ It would be okay if I use them with pasta, right? Could you save extra sauce? Freeze it maybe? I have a small batch of meatballs about 24 already made but would love to use this sauce. Yes! This sauce should freeze great, enjoy! Hi! Was wondering if the fizzling of the sauce was normal? It happened as soon as I added the corn starch. Nope, never heard of that before Libby!